I have an idea on how to use contexts, having come from other to-do style apps, plus I understand that they work across different topics. However, I still don’t quite “get” Categories. They appear to be in one Topic only, but then certain ones appear in the other Topics as touchpoints. There seem to be certain categories which are similar to those in other topics (such as “healthcare”, which appears in different topics), but then have different sub-categories. Plus, the categories in some topics like Health + Goals or Assets/People + Services make sense to me, but the ones in Projects + Tasks don’t and I worry that if I set up new ones, then I will either break existing touchpoints, or that you will create new touchpoints in the future that might render my categories obsolete. How do categories interact between topics and can you give me some more examples of how you could use them in the different topics? You correct in your understanding. 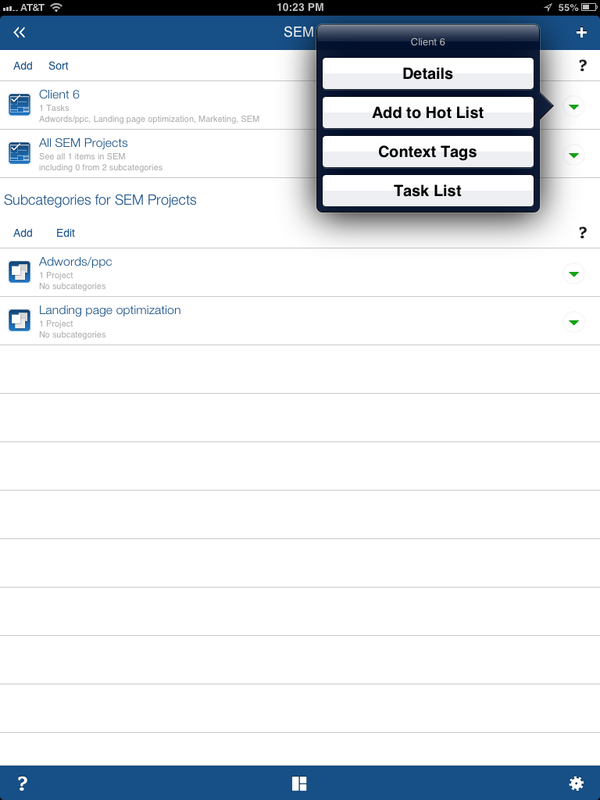 Categories are within their own topics, and context tags are independent (go across things). Some pre-built categories are touch-points between the topics. 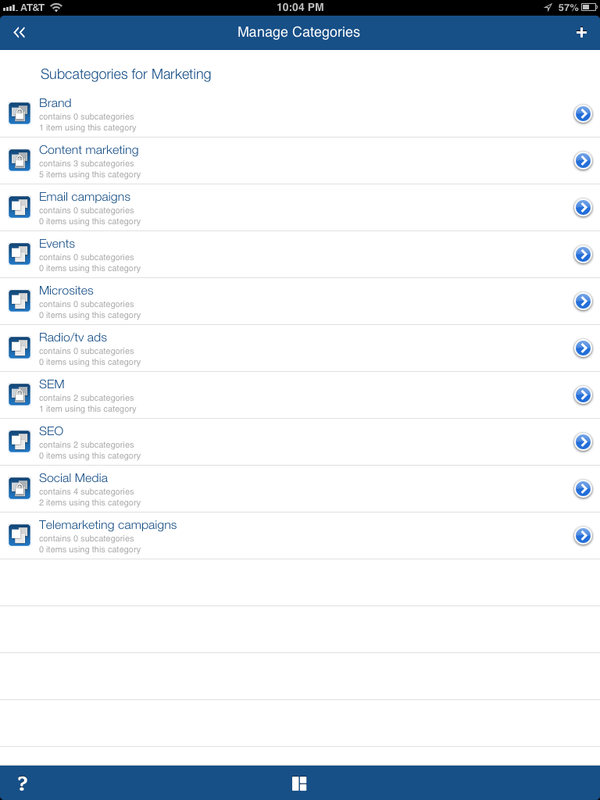 However, we allow you to manage the topics (create your own, delete unused ones, etc.) while protecting the touch point and used ones from being deleted. So you can add other ones as you seem fit – they are meant to be configurable. We may have gone a little overboard on the out of the box ones! We sometimes wish we made them independent of topics, so they could have been used across topics in general – however, context tags serve that purpose very well. Ok, that makes a bit more sense. So can you have multiple categories as well as multiple contexts on the same item, task, etc? 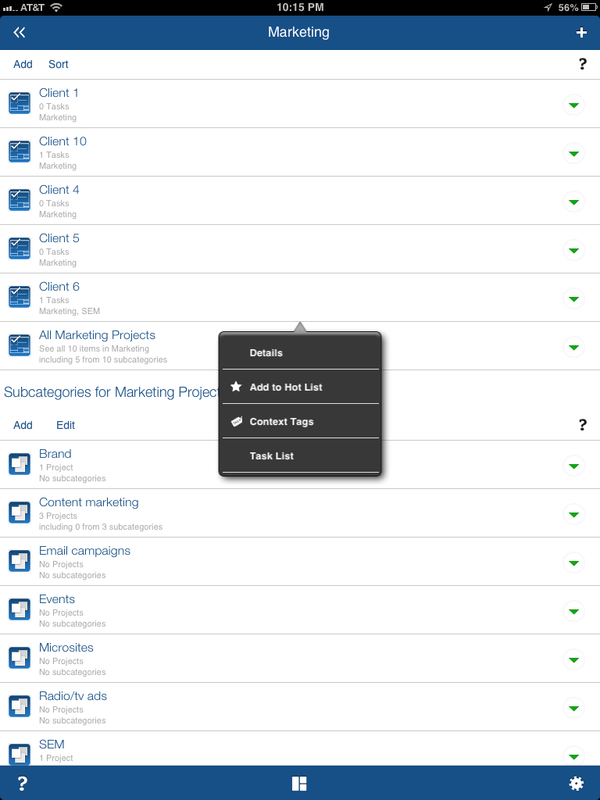 Yes, you can assign multiple categories and context tags to items. 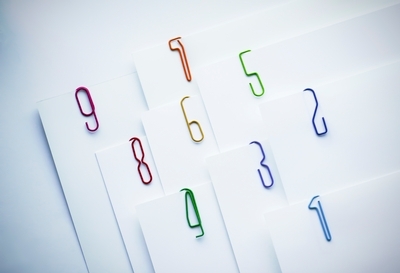 Think of categories more like hierarchical folders – things are where they belong. Contexts, on the other hand, are conceptual tags (“2014 Resolutions”, “Health”, “Family”, “Self Improvement”, “Work”, etc.) 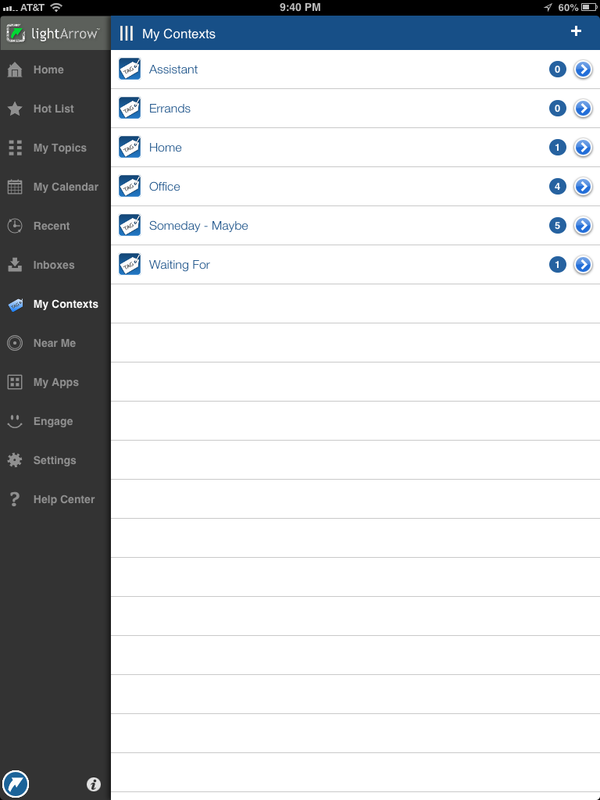 so you can see a mixed bag of items together under it’s context in the My Contexts view. For example, “Self Improvement” could contain a project, some health metrics, some bookmarks, notes, tasks, etc. of information I have collected and tagged as “Self Improvement” – regardless of what topic or what category within a topic they may be under. Ok, I think I’ve got it!